As the story of a living being created not by conven­tional reproductive means but by scientific endeavour, Mary Shelley’s Frankenstein: or the Modern Prometheus (first published in 1818) stands as one of the classic representations of the fears and hopes engendered by humanity’s harnessing of technological power, and the ambivalence occasioned by the prospect of artificial intelligence, genetic modification, stem-cell research, prosthetic surgery and other interventions. Conceived, remarkably, when its author was only nineteen years old, the novella went through numerous editions between 1818 and 1831, was adapted for the stage in London in 1823 and spawned numerous film versions, beginning with a silent version in 1910. For millions who have never read Shelley’s novel, however, it is likely that their strongest association will be of Boris Karloff’s portrayal in James Whale’s movie Frankenstein (1931). Since that first iconic image, there have been innumerable further versions in literature, stage and screen. There are wider cultural elaborations too. Media reaction to genetically-modified organisms frequently hinges on terms such as ‘Frankenstein Foods’, eliciting associations of creation out of control, ‘mad scientists’ and the consequences of ‘playing God’. Jon Turney has even suggested that Frankenstein has a unique role in shaping popular understandings of scientific innovation, especially in genetics and biomedical science. He calls it ‘one of the most important myths of modernity … the governing myth of modern biology’. Is Frankenstein a ‘modern myth’? Throughout human civilizations, stories have been told about human knowledge and its potential either for good or evil. The Garden of Eden in the Hebrew Bible, the Greek tales of Prometheus and Pandora’s Box, and Goethe’s Doctor Faustus all touch on the lure of humanity’s aspiration to god-like creative ability, to power over life and death – and the catastrophic consequences of unleashing elemental forces that ensue. For scholars of religion, anthropology and literary theory, myth as a genre is endemic to culture, albeit of a different register to that of scientific rationalism. Far from being a fanciful tale arising from excesses of credulity – as its commonplace usage frequently suggests – myth is understood as a primal story that invites us to reach beyond its superficial appearance to explore fundamental and enduring truths about the human (and posthuman?) condition. Myth is thus a means by which a culture constitutes reality itself, a view advanced by William Paden when he argues that myths are integral to the process of what he terms ‘world-building, world-shaping’. However, Frankenstein departs from traditional myths in that it tells the tale of human endea­vours, not those of the gods or even epic heroes. 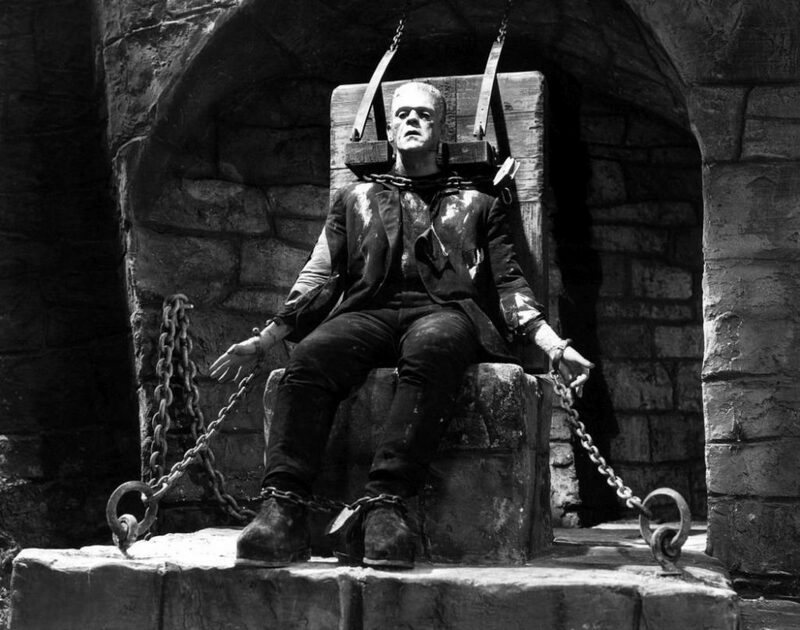 Frankenstein is every bit a product of its modern context, blending Romantic and Gothic genres in a reflection on the consequences of human technological power at the very moment in Western history when the industrial and scientific revolutions were gaining momentum. This sets it firmly as a secular, rationalist narrative without the comforts or sanctions of religion. Victor Frankenstein does not enter a Faustian pact with the Devil or battle with supernatural powers. His is rather the story of the fragility of the boun­dary between life and death and the dilemma of balancing ends over means in the sat­is­faction of human curiosity and creative brilliance. In this respect, Victor is much nearer to Everyman than to the gods, and is given entirely human motives and methods. Similarly, in the abject yet noble figure of the creature, we can trace a strongly humanist, egalitarian impulse – inspired in part, perhaps, by Mary Shelley’s own upbringing. William Godwin was a political radical and freethinker who took his daughter to many public demonstrations of scientific techniques such as Galvinism. Mary’s mother, Mary Wollstonecraft, wrote A Vindication of the Rights of Women (1792), now regarded as a founding text of modern feminism. Shelley’s depiction of the creature as the outcast, abandoned by his creator, are designed to excite the reader’s sympathies and challenge the conventions which demarcate the ‘human’ from the nonhuman or inhuman, or the ‘natural’ from the ‘unnatural’. Unlike many of its later cinematic renditions, which deny the creature a voice or point of view, however, we should remember that the innovative narrational structure of Shelley’s novel gave equal weight to the creature’s story as to those of Victor and Captain Walton, the explorer. Importantly, too, many of the characteristics of Victor’s creature endure into contemporary representations of posthuman figures. They too are liminal and misunderstood, whilst nevertheless nursing strong desires to be recognized as fully human: David, the android boy, abandoned by his parents in AI; Lt. Commander Data and Seven of Nine in Star Trek: Next Generation and ST: Voyager; Roy Batty in Blade Runner, who proves ultimately to be a redemptive figure (and who, like Victor’s creature who reads Plutarch, is an auto-didact who quotes Paradise Lost). Frankenstein may not be a myth in the conventional sense of what van Baaren calls ‘the why and how of the here and now’, but it nevertheless addresses primal and fundamental themes about what it means to be human. Just as it owes much of its original shape to the influence of ancient myth, it may also be appropriate to think of Frankenstein itself as a modern myth in its capacity to generate a wealth of inter­pretative themes in relation to science, technology and the (post)human condition. Turney, Jon. Frankenstein’s Footsteps: Science, Genetics and Popular Culture. New Haven: Yale University Press, 1998, p. 3. Paden, William. Religious Worlds. Boston: Beacon Press, 1994, p. 69. Aldiss, Brian. Billion Year Spree: The history of science fiction. London: Weidenfeld & Nicolson, 1973. Graham, Elaine. “The Final Frontier? Religion and Posthumanism in Film and TV .” InPalgrave Macmillan Handbook of Posthumanism in Film and TV, by T.D. Philbeck and C. Carbonell M. Hauskeller, 361-370. London: Palgrave Macmillan, 2015.
 van Baaren, T. “The Flexibility of Myth.” In Sacred Narrative: Readings in the Theory of Myth, by A. Dundes. Berkeley: University of California Press, 1984, p. 223.
Cooper, D.E. “Technology: Liberation or Enslavement?” in Philosophy and Technology, edited by R. Fellows, 7-18. Cambridge, Cambridge University Press, 1995. Coupe, L . Myth. London: Routledge, 1997. Graham, E. Representations of the Post/Human: Monsters, Aliens and Others in Popular Culture. Manchester: Manchester University Press, 2002. Mellor, Anne K. Mary Shelley: Her Life, Her Fiction, Her Monsters. London, Routledge, 1988. Shelley, M. Frankenstein: or The Modern Prometheus, with Introduction by Wendy Lesser. London, Random Century, 1992 [first published 1818].